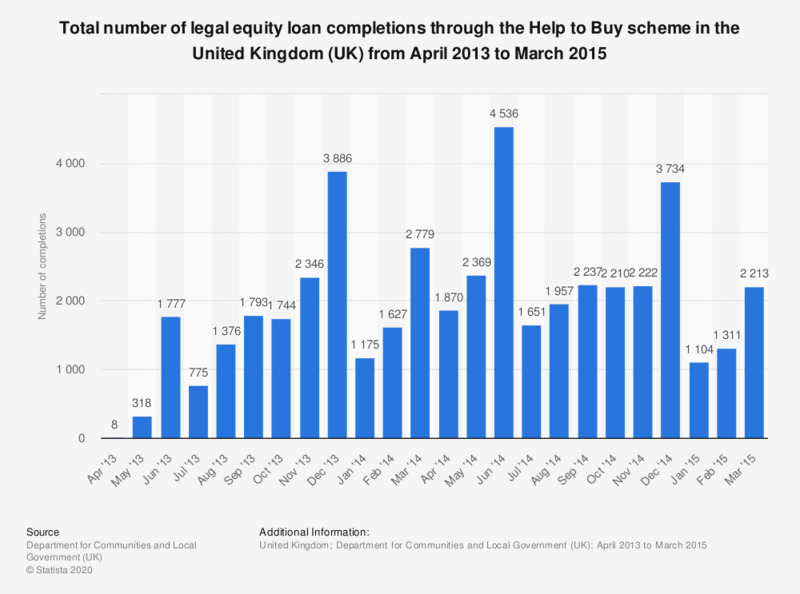 This statistic shows the monthly amount of equity loans supported by the governmental Help to Buy mortgage guarantee scheme in the United Kingdom (UK) from April 2013 to March 2014. In March 2014, the number of loans supported by the scheme amounted to 2,213 - compared to 2,779 in March in the previous years. More information about the Help to Buy equity loan scheme made available on the local government website.